A charming little hotel. 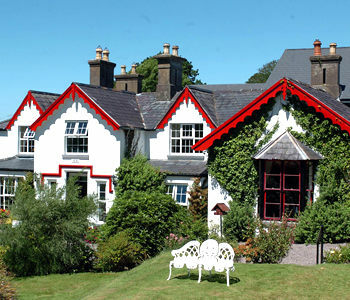 With only 23 rooms, 8 of them deluxe, it is the ideal base for touring "God's own country", the magical Kingdom of Kerry. 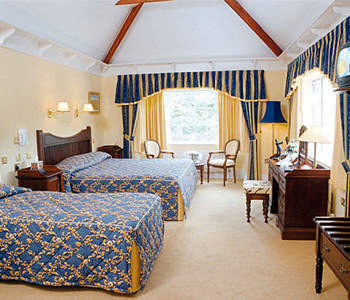 Guest Rooms: There are 23 of them in total, and very nice rooms they are too! Every one of them has bath and shower (with super water pressure), radio, TVand phone. Location: Killarney, the name alone says it all! Images of championship golf, incredible angling, unparalleled scenery and leisure facilities spring immediately to mind. Killeen House Hotel is just 10 minutes drive from the centre of Killarney and only 5 minutes from Killeen and Mahoneys Point golf courses. 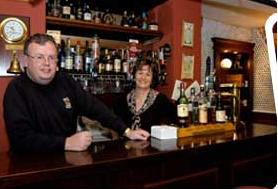 Restaurants: Rozzers Restaurant is truly a must-visit dining experience while at the Killeen House. Our Chef and his team have carved out an enviable reputation for the sheer quality of the food they produce to a consistently high standard.